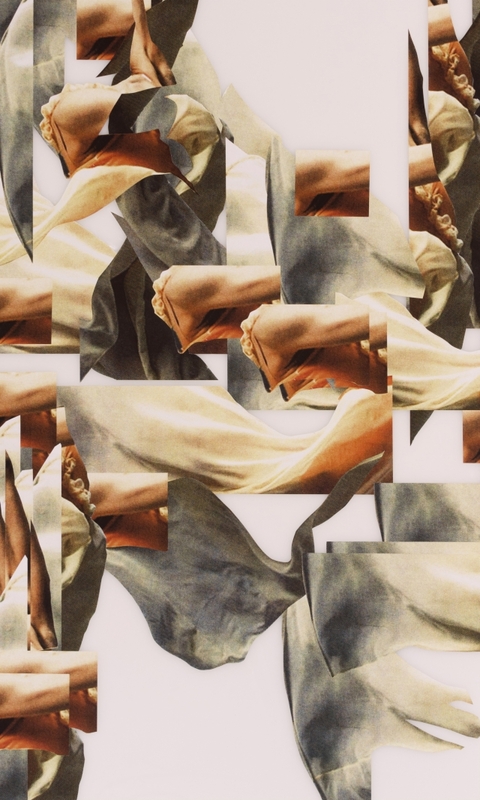 Joseph Staples’ ongoing Falun Series (2010–) consists of photo-collages made from a series of images of a single dancer he found years ago, which he has copied into multiples and cut up. Often, collages are made from many different images that are used only once. For the Falun Series, Staples instead investigates if something lasting can be made by returning over and again to one series of images. This is a way to challenge the ephemeral qualities of collage. Each time he goes back to this work, the same issue remains: What else can be made of this one set of photos? These self-imposed boundaries have become a way to test old ways of making, as the work becomes more complex over time. Delicately cut from small prints and blown up for installation, the reproductions for the Art in Your Neighbourhood project are the most ambitious works in the series yet. Capture’s inaugural Art in Your Neighbourhood project comprises two roving exhibitions concentrated within the borders of the iconic Gastown and South Granville neighbourhoods. 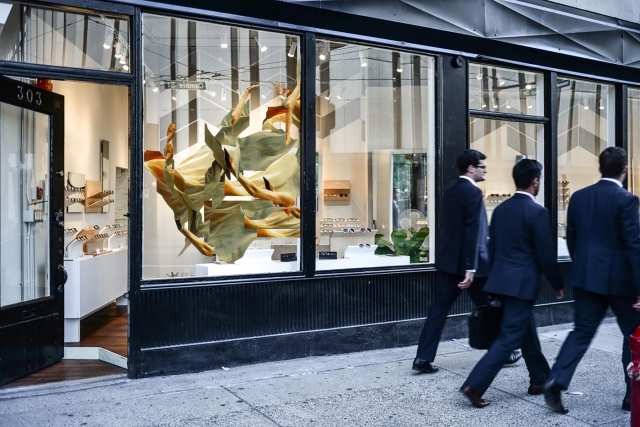 These exhibitions take place in the storefronts of different retail spaces, with each participating business showcasing a unique artwork. Residents, shoppers, and those who work in the neighbourhood are able to slowly piece together each exhibition as they encounter the artworks during their daily errands and commutes, with the goal of sparking thoughtful and spontaneous dialogue.